This would be a cool duet, just saying. The Grammy Awards are returning to New York this year, which means, like a middle-school kid who just discovered Dear Evan Hansen, they’re really into theater right now. In addition to announcing that Pink, Lady Gaga, Childish Gambino, and Little Big Town will all perform at the January 28 ceremony — the requisite list of pop and country superstars who better do some acrobatics (we’re looking at you, Pink) — the Grammys also announced plans for two Broadway performances, from Ben Platt and Patti LuPone. 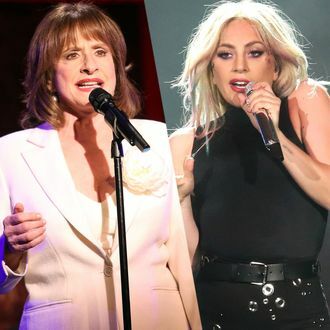 LuPone will reprise her 1981 Grammys performance of “Don’t Cry for Me Argentina,” while Platt will perform “a song from West Side Story.” Will it be “Maria”? “Somewhere”? “I Feel Pretty”? You’ll just have to tune in to find out.